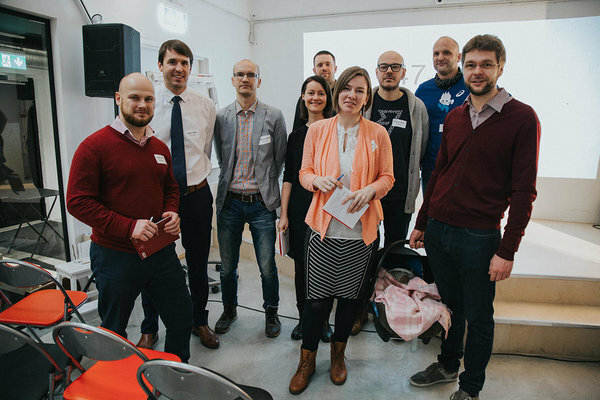 On 21st January Idea Garage48 event brought around 90 people together to LIFT99 Co-working & Event Space in Telliskivi Creative City to brainstorm around ideas for the future of Tallinn and how to make it a better place to live in. It was really inspiring to see such interest and motivation from caring citizens in proposing all kinds of ideas ranging from Culture Hotline to Injection Points for addicts and to interactive bicycles in bus stops. 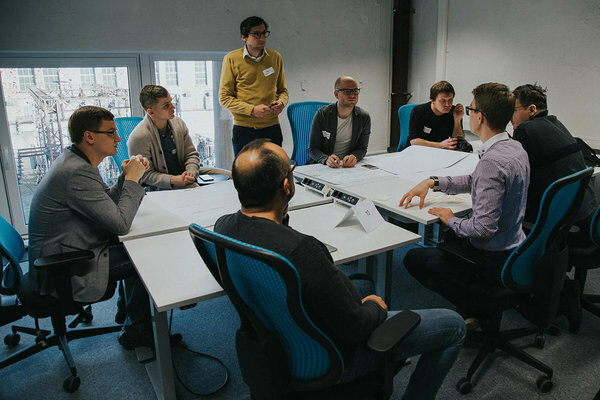 Idea Garage48 is a half day event format to brainstorm around ideas & problems and come up with potential solutions in working in teams. We would like to thank mentors & experts to came and supported the teams in brainstorming around ideas and thinking critically about the possible solutions: Toomas Haidak (Head of transport development & investment department @ Ministry of Economic Affairs and Communications), Ott Pärna (CEO @ Estonian Investment Corporation Ltd.), Teele Pehk (Urbanist @ Linnalabor), Rasmus Rask (CEO, Founder @ La Muu, Founder @ Uuskasutuskeskus), Helen Sildna (Founder & Director @ Tallinn Music Week), Anto Liivat (Social Democratic Party), Rainer Vakra (Member of Parliament), Andres Susi (Garage48 Mentor & Moderator). Active open spaces in Tallinn - Mapping out areas where we aren’t using their full potential. Something for everybody: playrooms for both adults and children; comfortable sitting areas; equipment for actively communicating with each other etc. Tallinn - Compact City - A formalised process to manage things in Tallinn. Lets use SCRUM method and implement in city government. Teacher Exchange/ Home learning - Uber for teachers to help with home learning and to have exchange program between schools. Review & feedback based platform. Mobility app for children - 86% of children in schools don't move actively enough to stay healthy. E-School add-on function (integration with existing fitness/activity tracking solutions) to motivate children to move more and to show near by training centres. Public transport infrastructure usability - Innovating how the system of buslines numbers match their destinations and routes. Should create interest around the discussion where the busses should start and end and what their routes should be. 2 types of lines: 1) from city centre to the suburb 2) from suburb to other suburb etc. MoleQL - Chemical reactions are difficult to learn. A mobile app to teach school children chemistry. What to do with my stuff app - ReUse.me - Reuse packages and motivate citizens by giving them citizen points. Green Tallinn - Tallinn which would really be green. Healthy soul in a healthy Tallinn citizen. To change certain parts of the city totally car-free. Safe injection points - To reduce the crimes related to drug addiction. Rehabilitation of these people is currently fragmented. Most important thing is to create a campaign that helps people understand that drug addiction is not someone else’s problem. Pop-up family cafes - Workshops, counselling & support given to both parents and children in pop-up cafes. Interactive bicycles - Smart dummy bikes in public spaces. Waiting for a bus you start cycling. Earning bonus points. Earning citizen points to use in partner shops. Culture Hotline - everyone who wants to know about cultural events or culture can call the number. For all the young culture theorists, humanities students where they could work. Also online. Targeting anyone who wants to get help with cultural information. Transport to school - Bicycle parking spots in schools. Children's healthy sleep - Parents are suffering with postpartum depression, handling new situation, sleep problems for babies. App where people would get personalised help. Accessibility in Tallinn - to create a register of all the places & appartments which are accessible for disabled people. Bicycle rentals - Certain spots across the city. not necessarily operated by the city. Garbage sorting machine in homes - an installation on garbage bins to crush and press the garbage into granules. Less trash, more space. Safe walking & cycling roads - City proper planning so that citizens would feel safe on walking and cycling roads. Musical tram tracks - Every time a tram passes by it initiates a music piece in open spaces.